Above: Sepha Ltd, winners of Excellence in Innovation, represented by Paul Kelly, Head of Sales and Marketing. CDE Global, winners of Commitment to People Development, represented by Brian McCullough, Head of Talent and Organisational Development. NI Chamber Members were once again centre stage at the annual British Chamber of Commerce Awards in the Tower of London Pavillion, with CDE Global scooping the national award for Commitment to People and Sepha Ltd picking up the Excellence in Innovation award – proving our local companies can compete and win at a national level. 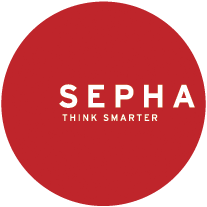 You can find out more about the winners, CDE Global and Sepha Ltd by clicking on the logos below.